Durham seam bowler Chris Rushworth took 15 wickets on Wednesday as Northants were bowled out twice in less than 3-1/2 hours on their way to an innings defeat. Rushworth, who has led the Durham attack this term with Graham Onions injured, took 9-52 either side of lunch as Northants were dismissed for 83 and, when following on, 90. Hosts Durham had scored 392 in their first innings in the match at Chester-le-Street. 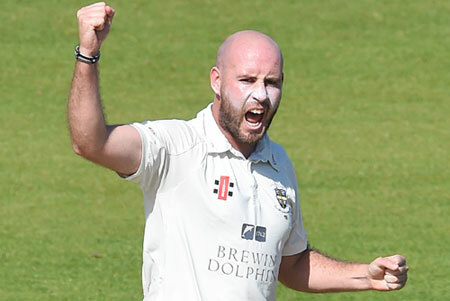 The 28-year-old Rushworth finished with match figures of 15-95, the best by a Durham bowler in a county championship fixture. Relegated Northants lost by an innings and 219 runs, their 12th defeat in 15 matches this season.